Baseball Caps - Wear Your Ad Campaign! - CTS Wholesale LLC. 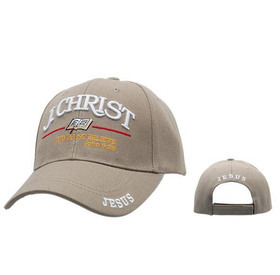 Baseball Caps - Wear Your Ad Campaign! Baseball caps were initially designed as a part of the uniform of baseball players, in order to shield the players from the sunlight while they played the game. Today, baseball caps have become a trend and a very popular part of everyday casual wear. Wholesale baseball caps are being custom ordered to advertise different brands and as uniform accessories in places like popular fast food joints. But why has it become such a trend these days to wear one? And what makes this a common item for business advertising? Baseball caps are more popular around the world than the game itself. The cap typically is made out of a soft material with a dome-like crown and a stiff peak in the front. The back of the cap has an adjuster made of either Velcro, plastic or elastic and can be fitted to the wearer's head size. This makes it easy and comfortable to wear, and convenient to carry around while traveling or going on trips. Wholesale baseball caps are easily mass produced because of the standard design which ensures a more or less one-size-fits-all. Educational institutions like schools and colleges design baseball caps with their school logo on them to give out to their students. Corporate offices usually order wholesale baseball caps with their logo or brand name printed on the front in large numbers to distribute to their employees and also to the public during promotional events. The cap serves the dual function of being a souvenir as well as a promotional item that advertises their organization.